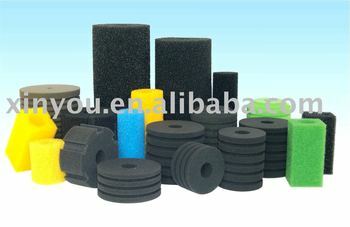 widely use in aquarium filtering,packaging,cleaning and other business. 4. we can cut the pu sponge in different shap as you required. c. Pond filtration system, Water disposal factory, tap water factory, cooling tower, swimming pool, fish pond, collecting fish eggs, ect.